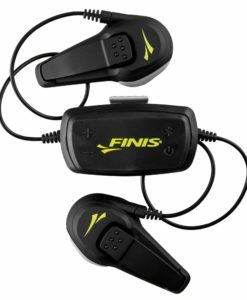 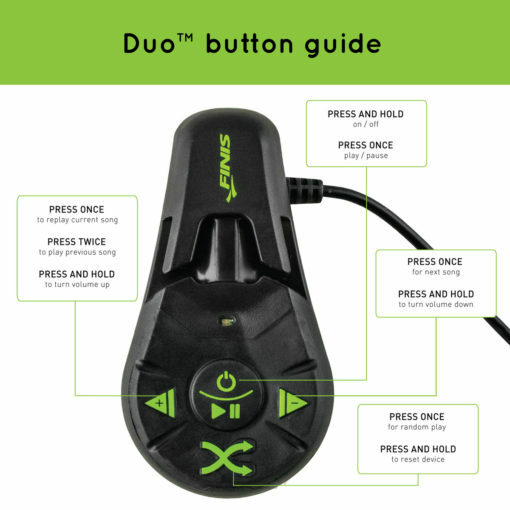 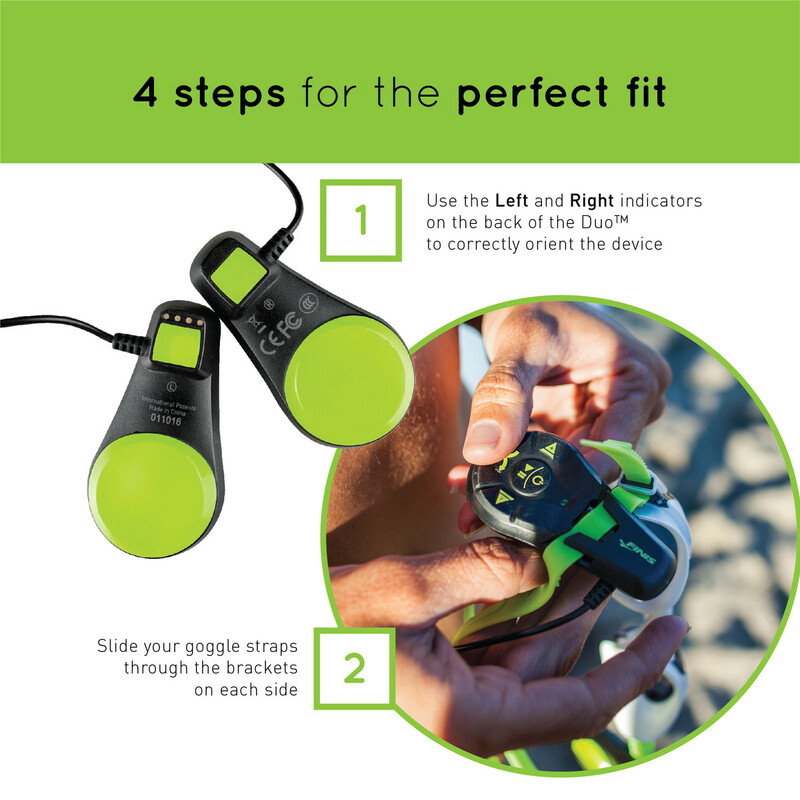 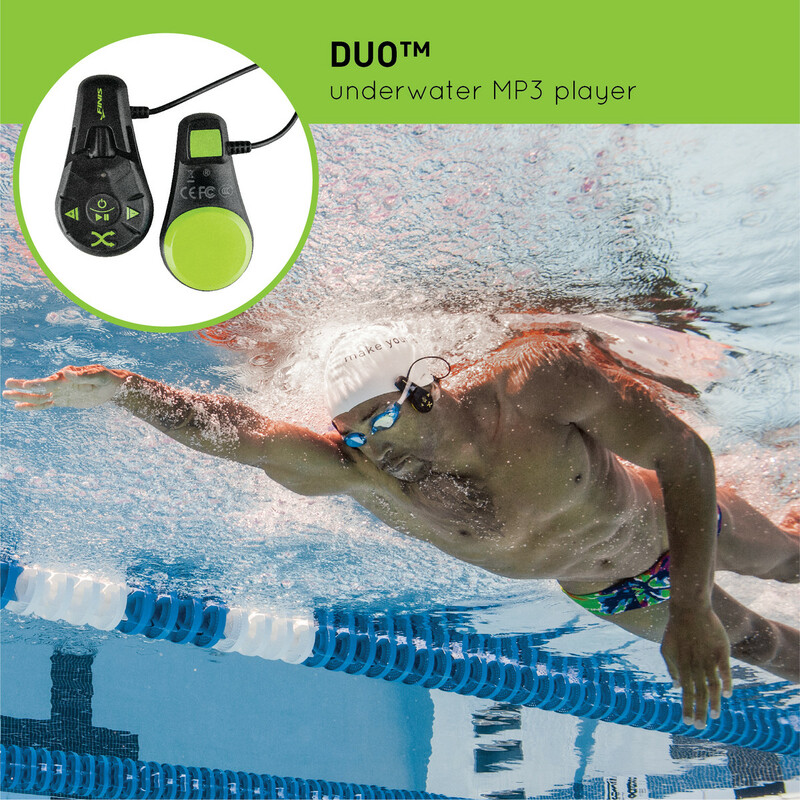 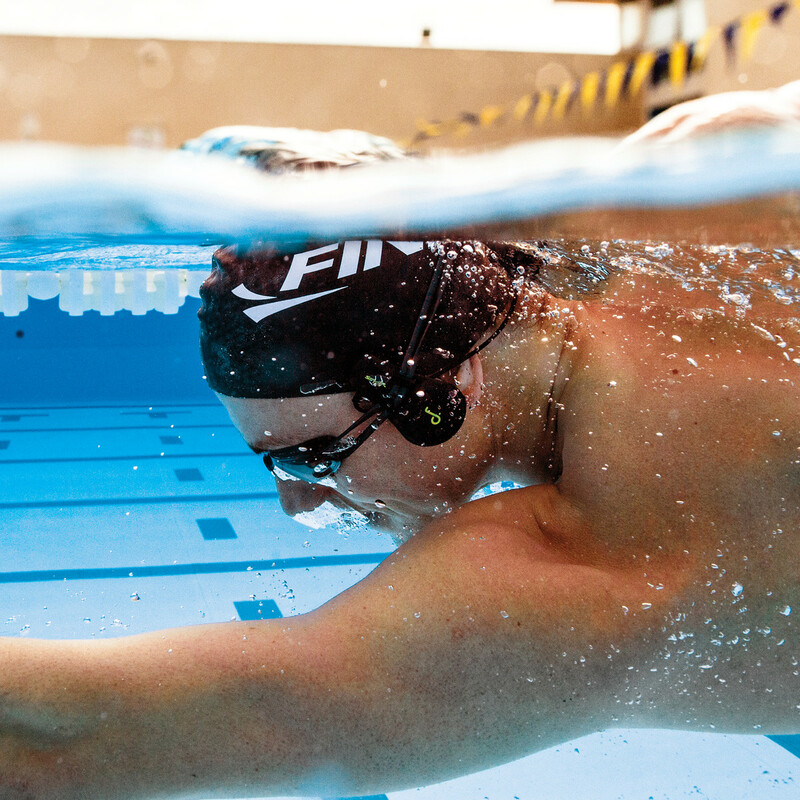 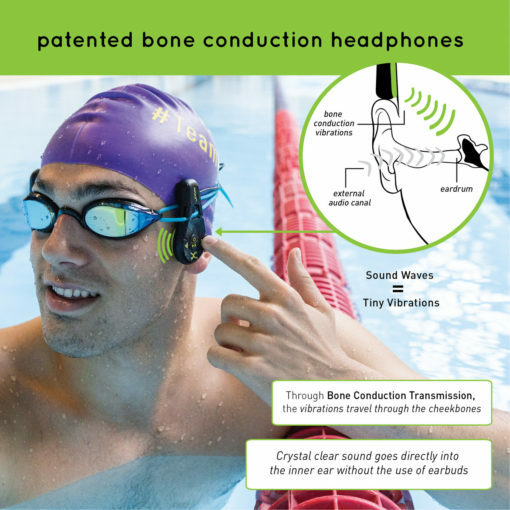 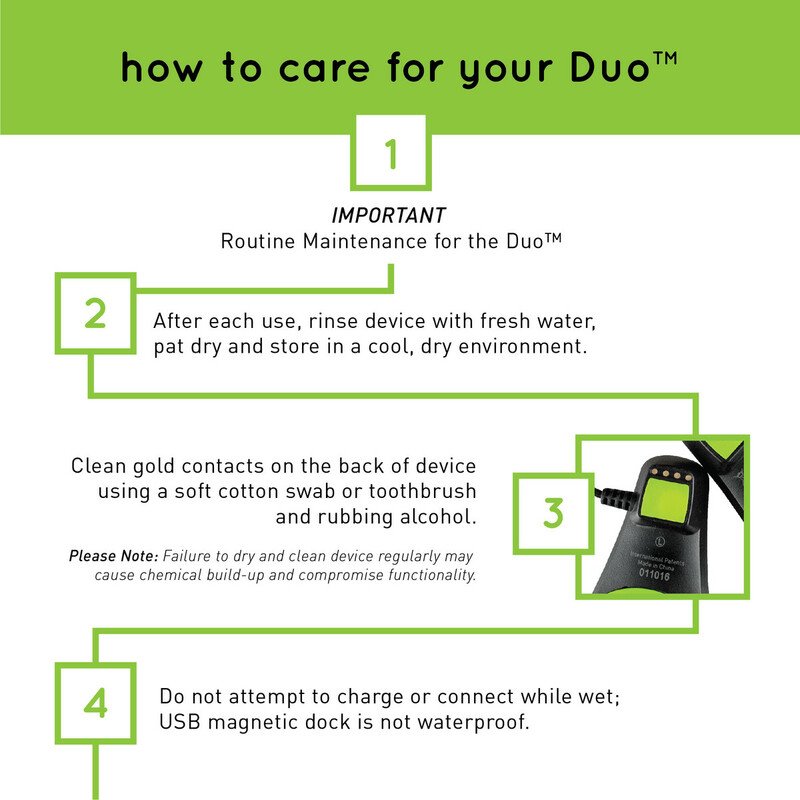 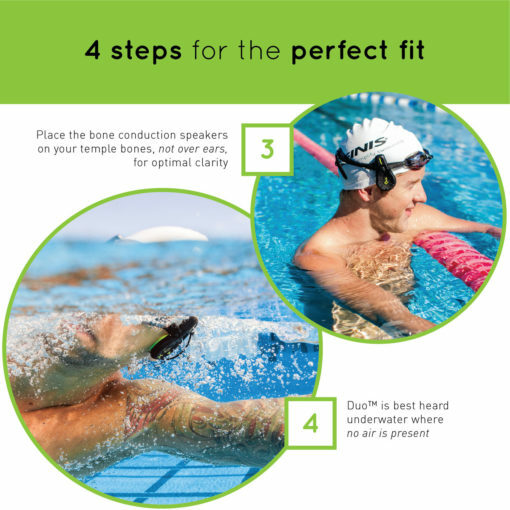 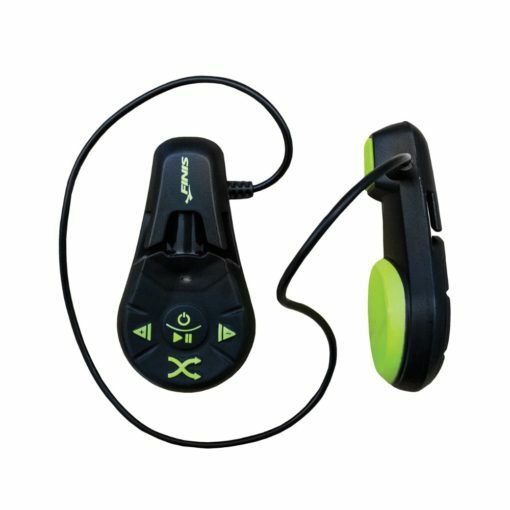 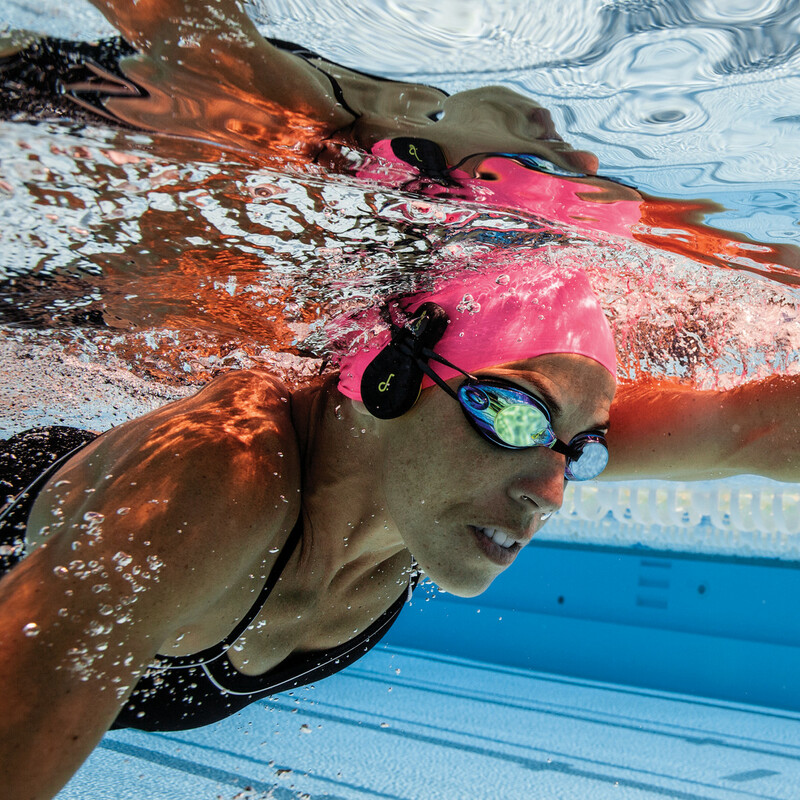 The Duo™ is an MP3 player designed for swimmers that offers the highest quality sound without the use of ear buds. 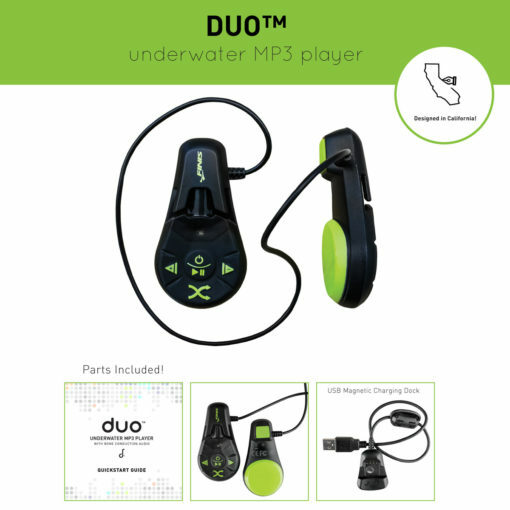 The Duo™ utilizes a sleek, two-piece design and Bone Conduction audio transmission to deliver crystal clear audio through cheekbones to the inner ear. 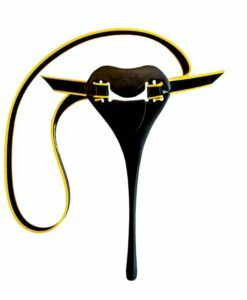 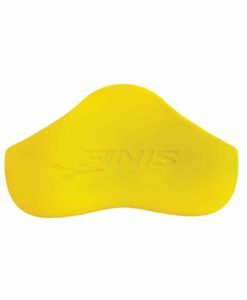 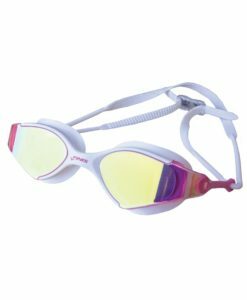 An integrated clip design secures the Duo™ to goggle straps to rest on the cheekbones for a comfortable and streamlined fit. A simplified interface offers four buttons to easily navigate between songs, podcasts, audiobooks and other supported audio files. The Duo™ supports unprotected MP3 and WMA files. 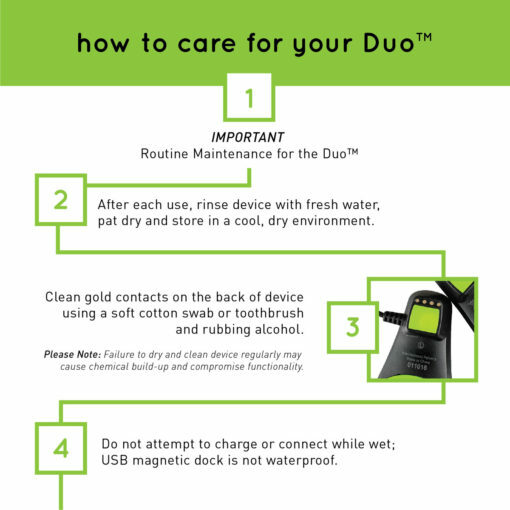 The included USB magnetic dock allows for universal data transfers and charging. The device offers 4GB of flash memory and a Lithium-Ion rechargeable battery life of up to 7 hours.